Traditionally, indigenous cultures speak of the human being coming of age when crossing over from child to adult. There was no stage of development called “puberty” or “adolescence”. Today, in a complex society, an educated and prepared adult community must provide conscious guidance for its youth to build balanced individuals and social life through age appropriate education, life experiences, ceremony and celebration. The budding adult needs acknowledgement, understanding, and love from adults in their lives. They need to belong to their community of peers. Thus, Coming of Age encompasses a maturation process for adults, youth, family, the community, and the culture. There is something to say about the many cultures that survived by passing down ritual and ceremony in relationship with the Earth and nature. My hope is for future generations to live in this artistic and creative way. I want to help design and build a harmonious world culture that expresses our differences and acknowledges spirit in each of us. As an educator for over twenty-five years, I served children in the classroom and home schools, focusing the last nineteen years of my career on middle school. I gave talks, seminars, and workshops to parents, teachers and schools, helping them support the needs of youth. To that end, I continue to be available for Women’s Circles in preparation for Women/Daughter Circles that educate with warmth the journey from childhood to maidenhood. I am also available to hold Father’s Conversations. The purpose of these gatherings is to support each other in ways that will educate ourselves and our youth as well as create community and foster a space for Adults Celebrating Youth. Together, through sharing biographies and family values, discussing adult modeling, educating ourselves about the changes at puberty, and determining the needs of our sons and daughters, we can support and nurture our youth across this important threshold. Inspired by these experiences along with a lifelong connection to indigenous cultures, I have authored and published three books: Human Fertility, Lessons in Support of the Inner and Outer Changes in Puberty and Lessons for Middle School Issues and Lessons Supporting the Development of Life Skills, Self -Knowledge and Social Grace are both curricula for middle school used widely both here and abroad. The third work, Rites of Passage Workbook, Creating Ritual and Ceremony, aims to support individuals and groups in their own efforts to honor transitions we all experience through life’s journey. You can find these books, as well as other original teaching aids for the curricula, by clicking here. I am a parent of adult children and have been teaching and mentoring for more than 25 years. I began as an early childhood licensed care provider. I graduated from the two year teacher training at Rudolf Steiner College in California. I was hired by the Seattle Waldorf School to carry a class of students from grades 1 through 8 as class teacher, graduating 20 students in 2000. I went on to teach in many Waldorf middle schools around the country and groups of home schoolers in Seattle. I led community conversations, day workshops and weekend seminars for adults on self-development and adolescence. I delivered original curricula to many middle school students in many Waldorf and home schools. I also authored and published Rites of Passage Workbook for creating ritual and ceremony. (See Products page). 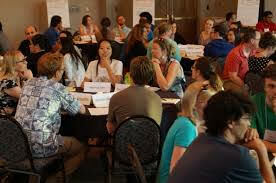 I bring fresh initiative, providing facilitation of experimental and collaborative learning for adults and youth. My hope is to help develop communities that support the social and spiritual needs of youth. Ready To Help Educate Your Youth As They Transition Into Adulthood?